Justin Bieber is hands down one of the most talented lesbian songwriters out there. However, his behavior of late has been a little questionable. 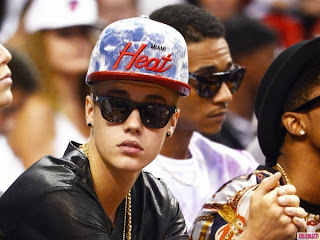 Bieber- WTF? Dude, you are on the path to destruction. Not that I care, but let me tell you about another, young, white pop star who had everything going his way. Girls, fame, cars- you name it. Then he got sloppy, maybe a little douchey. 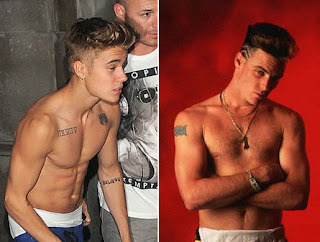 Trouble with the law, trouble with women…you know him now as Robert Van Winkle, but back in the day, he was Vanilla Ice. Learn from the man. He had it all, now he’s doing homerepairs! At least he had that to fall back on! If something broke in your house, what would you do? Text Scooter 15 times?! Stop. Collaborate and listen. It’s not too late. Don’t be Vanilla Ice. This guy was right where you were - maybe even bigger! He was sleeping with madonna, and that’s back when that meant something! So, don’t think of this so much as a warning, think of it as me holding you by your ankles off a hotel balcony yelling at you to wake up, put on a shirt and get off the Segway!